Why do people fear flying but not coconuts? Or rollercoasters but not ladders? Find out how to calculate the theoretical or experimental probability of events, and why this shows that often the things we fear the most are the least likely to occur. Often the things people fear the most are less likely to harm them than the things they don't fear at all. Probability tells us how likely something is to happen and just how irrational our fears can be. It can be calculated in two different ways – theoretically or experimentally. Theoretical probability is used to calculate the likelihood of certain simple events occurring, before they happen. The theoretical probability of an event occurring is the number of favourable outcomes divided by the total number of possible outcomes. For example, the theoretical probability that you will roll a 6 on a die is 1/6 of the six possible outcomes, only one is favourable. However, in more complex scenarios, theoretical probability is difficult to calculate. For these events, experimental probability is more useful. So many factors affect whether our worst fears will come true that we have to rely on the known frequency of events. Experimental probability is the number times an event actually occurs divided by the number of times it could possibly have occurred. 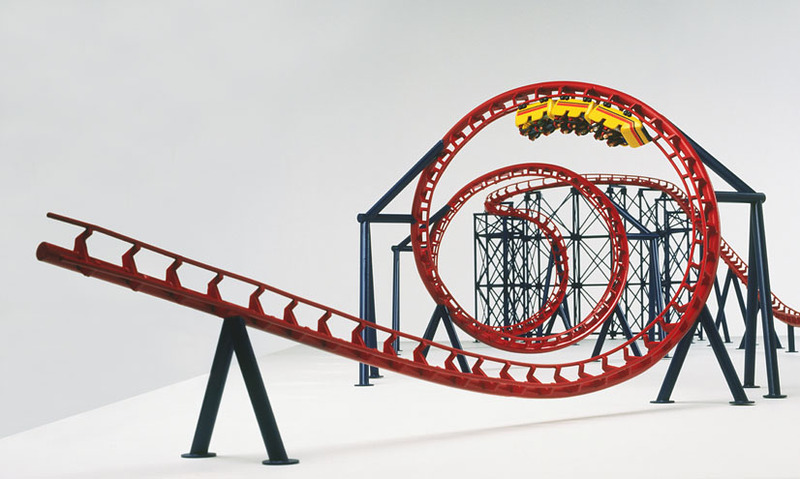 1.7 billion rollercoaster tickets are sold annually in the USA. On average, 4 people are involved in fatal accidents. This is the equivalent of a one in 425 million chance that you might lose your life on a rollercoaster. Falling to your death from a ladder is far more likely. So theoretical or experimental probability indicate the likelihood of certain outcomes in either simple or more complex systems. 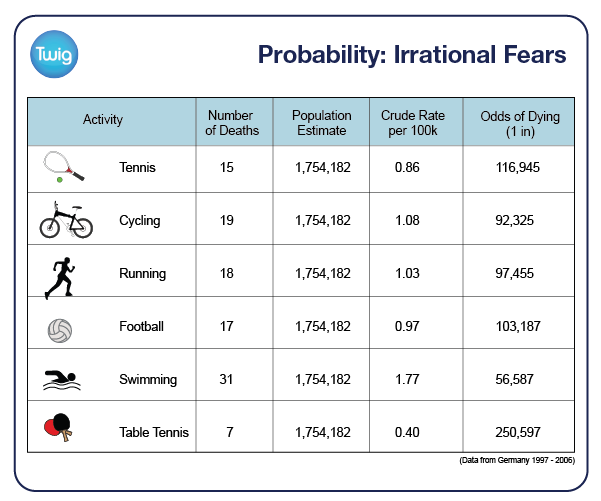 Other irrational fears have very low probabilities. You are more likely to be killed by a flying champagne cork than a poisonous spider. And falling coconuts kill more people each year than plane crashes. So probability shows that often the things we fear most are the least likely to happen.